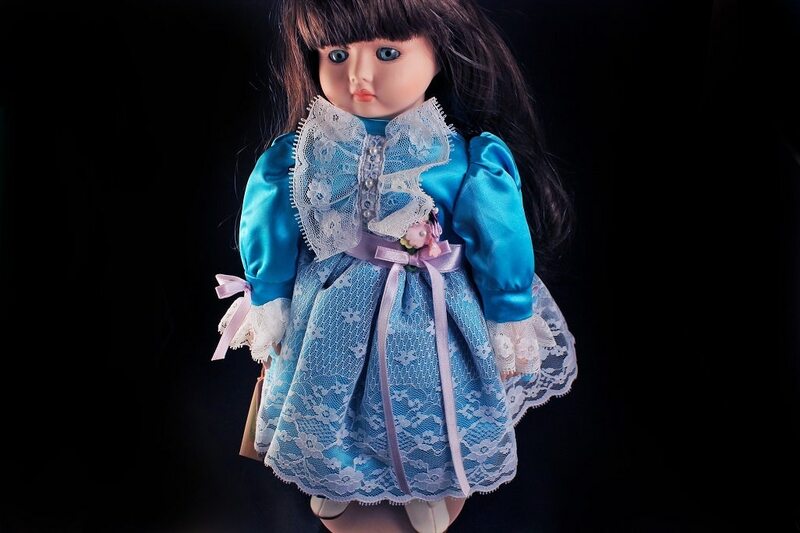 A lovely porcelain doll in a blue satin dress with lace trim. 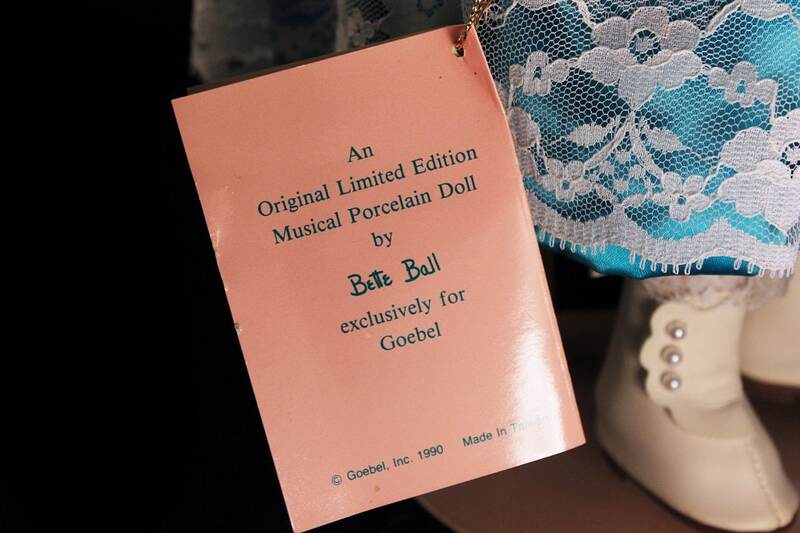 It was made exclusively for Gobel by Carol Anne Dolls by Bette Ball and her name is Cassandra. 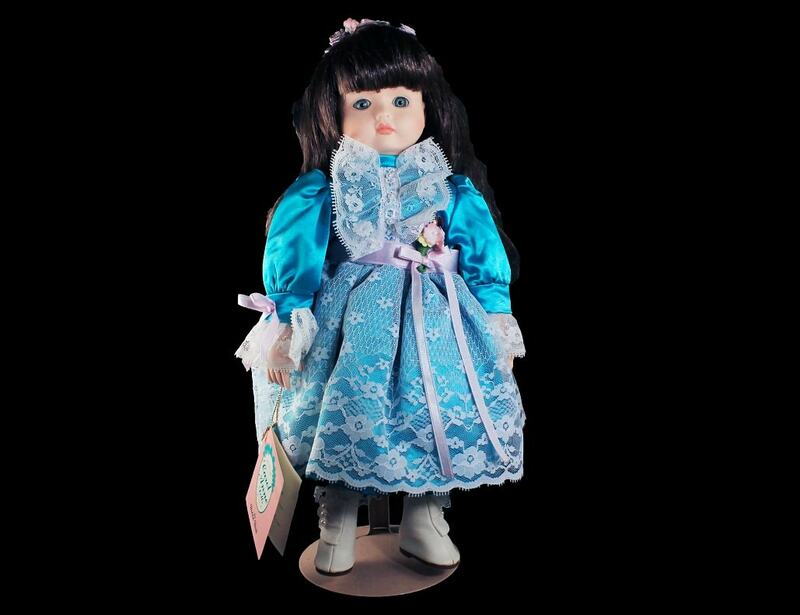 This doll is a limited edition from 1989 and is discontinued. 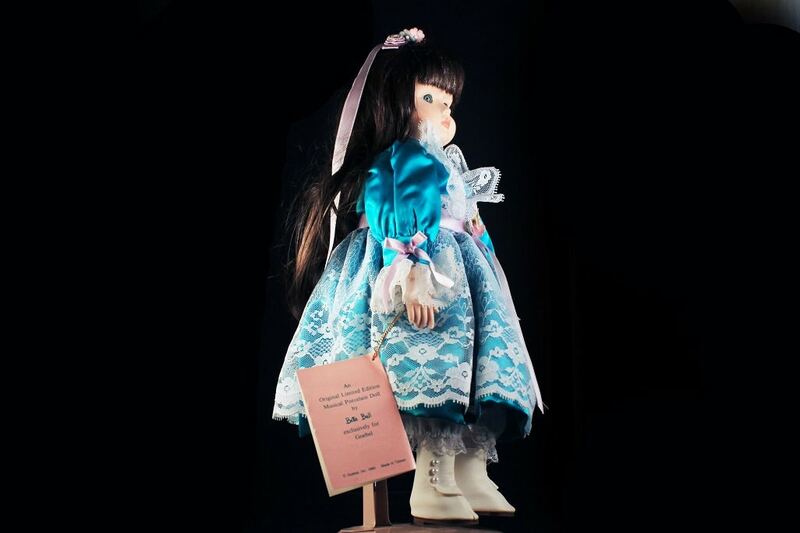 The doll has brown curly hair, blue eyes, and wears pink ribbon flowers in her hair. Her head, hands, and feet are porcelain. 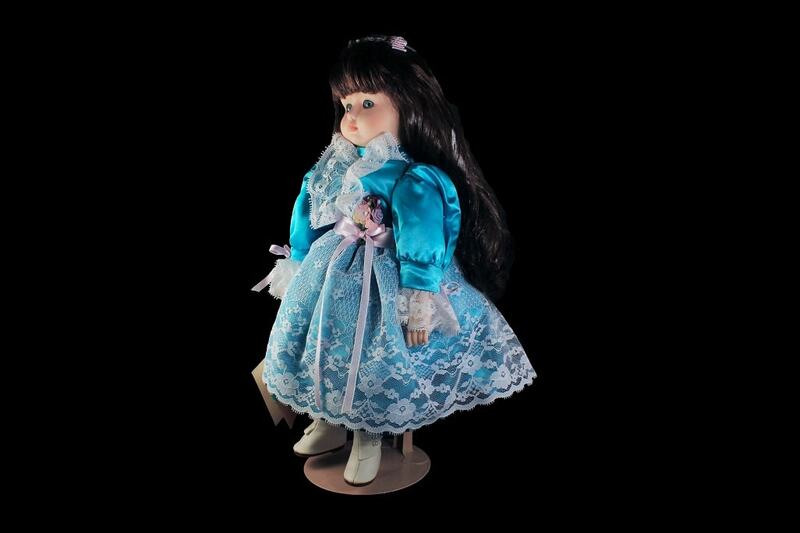 This doll is musical and with a key turn on her back. 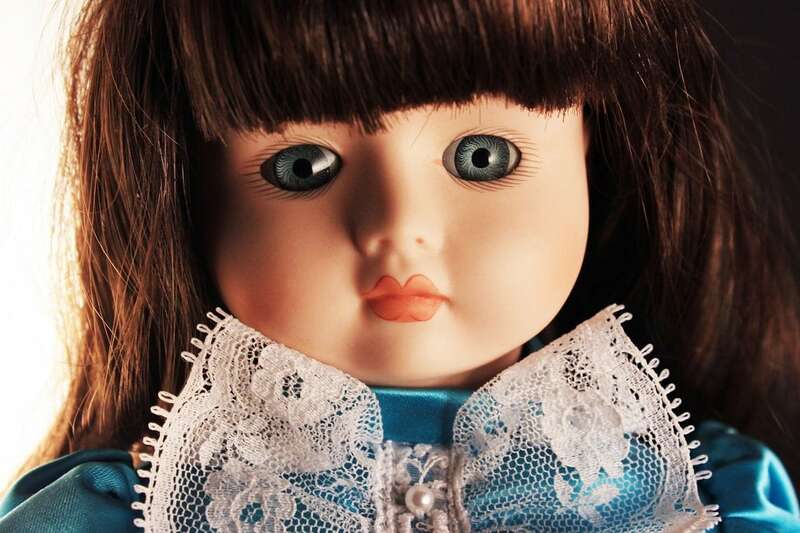 What a great doll to add to a collection. 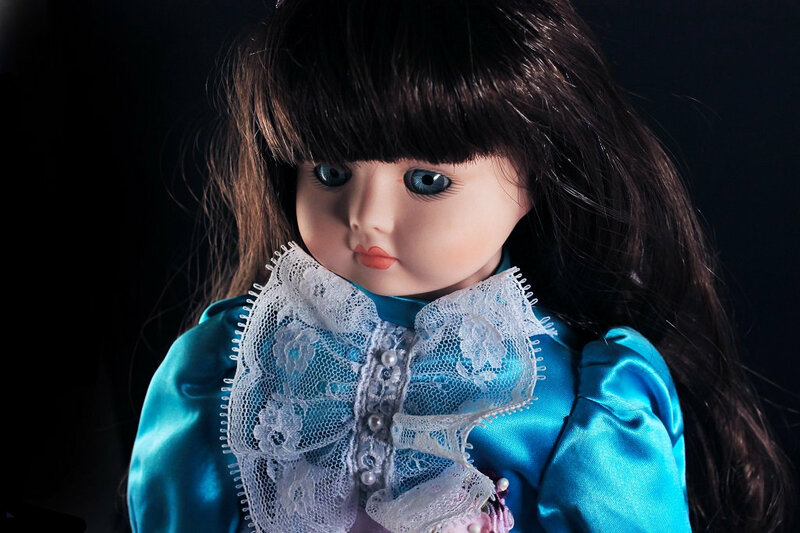 This doll is in very good condition. 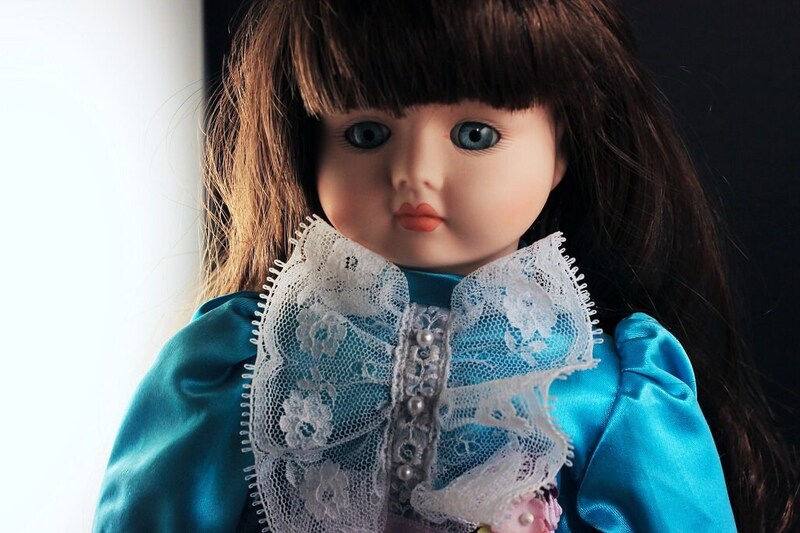 Her clothes have no rips, tears, or repairs. 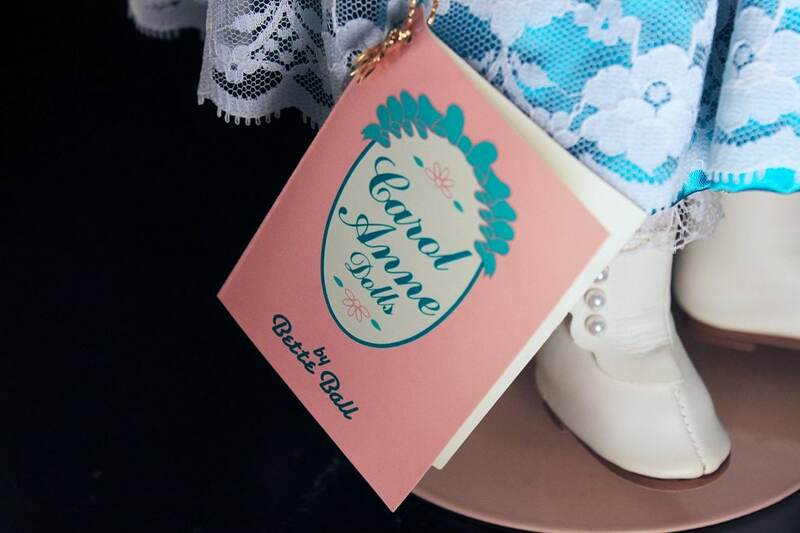 The porcelain is in excellent condition. 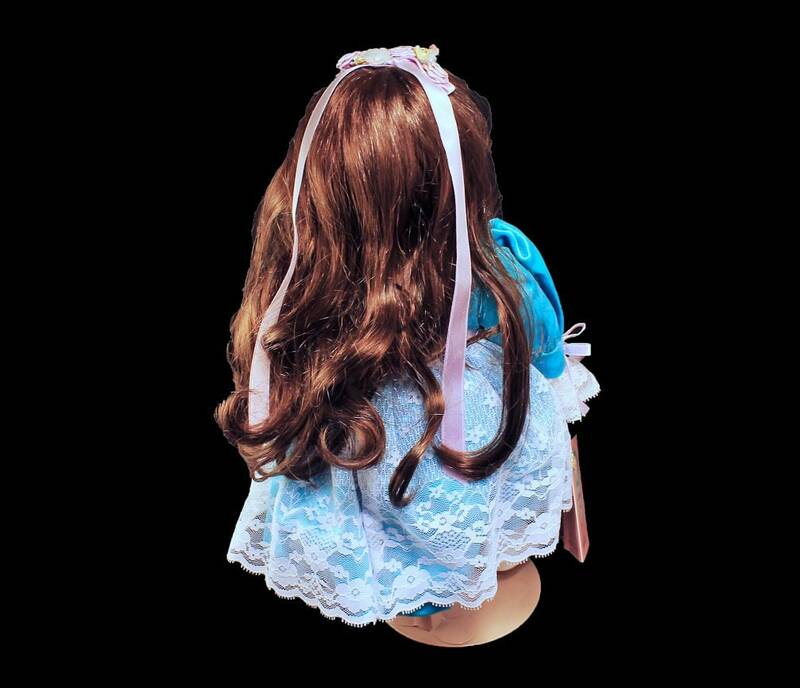 Her hair is a bit frizzy which is to be expected with vintage dolls. The music box works perfectly.